out of your trip while you focus on study, touring, or the internship work experience. Please take a look at our full list of services. Our staff is multinational, highly competent, professional and friendly, and we always strife to provide the best service to our international clients. We ensure that your every need is attended to, ensure your safety and do all that is necessary to help you adjust to life in China upon first arrival. Need some travel advice? Have trouble purchasing things at the supermarket? Want an English-speaking doctor in the middle of the night? No problem! These are precisely the things we take care of. Our unparalleled availability and top quality service are our strongest points. Here we urge our clients to take what they learnt in the classroom and go use it to engage local Chinese people. From business Chinese lessons, basic things like learning names of countires in Chinese, then moving higher to richer contenct. On the cultural side, you can take part in exciting Chinese cooking classes, martial arts, enjoy the varied Chinese cuisine, and many more activities. It is our number one priority here at Go Abroad China to give you a platform to make the most out of your trip to China. 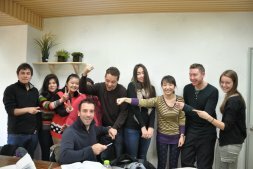 The is really the best way to learn Chinese; an interesting combination of language and culture. This is particularly important to our clients taking part in the internship program. We organize networking events to help them meet and gain knowledge from influential and successful business individuals. You never know which contact may lead to long-term employment! Besides that, we also help our different program participants also get to one another, leading to new friendships. For those doing paid internships in China, creating these networks is particularly important. We believe that if you really want to come to China then nothing should stand in your way. That is why we offer GAC scholarships and other forms of financial aid to the most qualified candidates annually, proving our dedication to the promotion of cultural bridges and mutual understanding. We are a team of hardworking, professional employees and always make sure that all of our clients’ personal information that is sent to us during the application process is treated with the highest level of confidentiality and solely used for program application only. Our customers’ happiness and satisfaction is at the forefront of our values. Should you not be satisfied or have more specific requirements regarding any of our programs, we are ready to customize and seek further alternatives to meet your needs. Over the years, we have received participants from over 20 different countries; and due to hard work, we have consistently received positive feedback from our clients. Some of our alumni even recommend their friends to get on board and experience China with the Go Abroad China organization. Please take a look at our Participants’ Feedback and Video Testimonial to understand how we operate. When applying for any of our programs, we only require a small deposit as an upfront payment. This deposit will of course be deducted from the total program fee; you will NOT be required to pay the full program cost until we provide you with a detailed program placement that you are happy with, this is to ensure that you have no risk. With over 10 years’ experience and a solid place in the industry, our prices are competitive yet still guarantee that you get the most out of the program you have paid for. As a fully functioning company, we know how the market operates; our niche is providing international standard service at an affordable price, which has kept us operating and able to withstand the competition for many years. 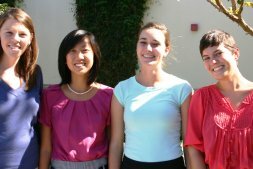 Over 13 years’ experience in delivering a high standard of internship programs. Over 600 established partnerships, ensuring a wide range of opportunities. GAC partner with the top universities in China to provide you with internationally recognized language classes that accelerate your child’s mastery of the Chinese language. They will learn together with fellow students, business people, and expats from across the world. Classes can be supplemented with one-on-one tutoring or additional small group classes. Students can choose a standard 20-hour study week or an intensive 30-hour study week. Classes are taught by qualified and experienced teachers who are bilingual, comprehensively trained, and who have years of Chinese teaching experience. 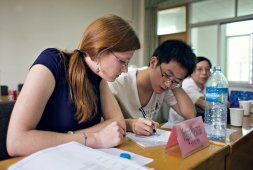 We urge our participants to take what they learned in the classroom and use it to engage with the local Chinese people. From business language to every-day Chinese, our applicants can choose to learn what they like, all the while making new friends and language partners! They will have many opportunities to immerse themselves in Chinese culture, and they can take part in exciting Chinese cooking classes, martial arts, enjoy the varied Chinese cuisine, and many more activities. It is our number one priority here at Go Abroad China to give them a platform to make the most out of their trip to China. GAC offer programs in a number of Chinese cities, giving them the chance to choose the type of experience they would like. They can join us in Beijing or Shanghai for the hustle and bustle of a modern city, or go for something quieter in Nanjing, Dalian is excellent for those that love history while Hangzhou is perfect for those who love natural beauty. We have something for everyone. GAC programs include a range of activities to keep them busy exploring and getting to know new people. From visits to the top historical landmarks such as The Great Wall, The Forbidden City or The Pagoda, to social activities and adventure outings such as hiking or rock climbing. They’ll experience the culture through cultural activities such as calligraphy, Kung Fu, Thai Chi or local cooking classes (and more). They’ll meet the locals and practice their Mandarin while they live amongst them, and while they’re at it they may just get to learn the local lingo! Our packages include many of the extras our competitors charge extra for. Your packages include everything they need to enjoy their stay and feel hassle-free; from pre-departure support to visa documentation, insurance and medical aid, orientation, social and cultural activities and more. Our highly competent, friendly and professional staff are here to support you and your child throughout their experience, from helping them through their application to 24/7 daily support during their stay here in China and even once they’re home through our Alumni team. We ensure that their every need is attended to, ensure their safety and do all that is necessary to help them adjust to life in China upon their arrival. Need some travel advice? Are they having trouble purchasing things at the supermarket? Do they want an English-speaking doctor in the middle of the night? No problem! These are precisely the things we take care of. Our unparalleled availability and top-quality service are our strongest points. Our goal is to ensure that we’ve taken care of everything, so they have a hassle-free stay. When applying for any of our programs, we only require a small deposit as an upfront payment. This deposit will, of course, be deducted from the total program fee; you will NOT be required to pay the full program cost until we provide you with a detailed program placement that you are happy with to ensure that you have no risk. With over a decade of experience and a reliable reputation, our prices are competitive yet still guarantee that you get the most out of your chosen program. We know how the market operates; our niche is providing international standard service at an affordable price, which has kept us operating and able to withstand the competition for many years. As a parent, you’ll know that finding your first job and gaining experience is the biggest challenge your undergraduate or graduate child faces. A China internship can launch their career and help them get their foot in the door of their chosen profession with international experience that will look great on their résumé. As one of the few comprehensive China program providers, we can mix and match the main components of our programs to tailor their stay to match their interests, goals, and studies. Combine language studies with additional classes at university, add additional Mandarin classes to extend their learning, take an internship, see China by adding in some extra trips or make a meaningful contribution by volunteering or teach English. They can come any time of year for any duration; we’ll make it work for you! Networking is particularly important to our internship participants. We organize networking events to help them meet and gain knowledge from influential and successful business individuals. You never know which contact may lead to long-term employment! Besides that, we also help our different program participants to get to know one another, leading to new (potentially life-long) friendships. We believe that if you really want to come to China, then nothing should stand in your way. That is why we offer GAC scholarships and other forms of financial aid to the most qualified candidates annually, proving our dedication to the promotion of cultural bridges and mutual understanding. If the cost of living in China is a bit steep for an applicant, we can try to introduce a part-time job to help out. We are a team of hardworking, professional employees and always make sure that all of our participants’ personal information sent to us during the application process is treated with the highest level of confidentiality and is solely used for program application. Our participants’ happiness and satisfaction are at the forefront of our values. Should you not be satisfied or have more specific requirements regarding any of our programs, we are ready to customize and seek further alternatives to meet your needs. Over the years, we have received participants from many different countries; and due to hard work, we have consistently received positive feedback from our clients. Some of our alumni even recommend their friends to get on board and experience China with Go Abroad China! Have a look at our Participants’ Feedback and Video Gallery to understand how we operate. and sounds of China with a China internship.